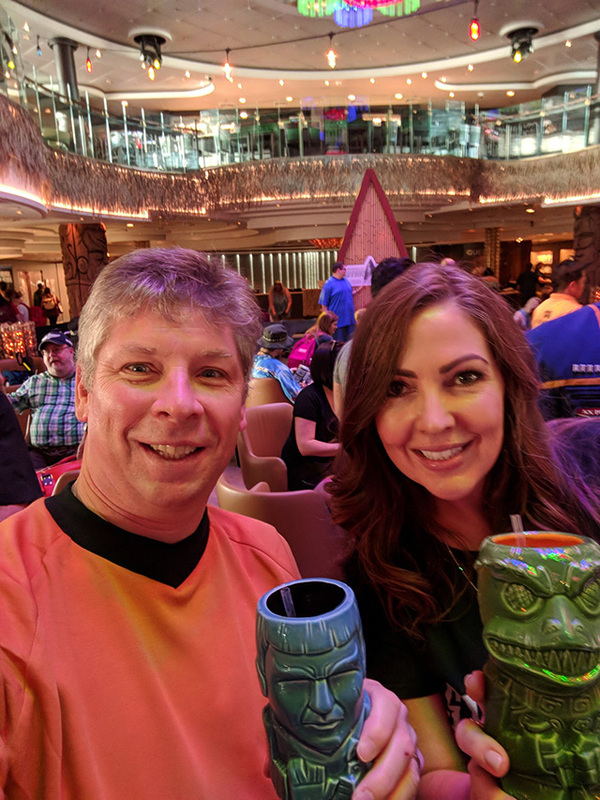 Check it out, Danny Sullivan who now works at Google is with Michelle Robbin's of Search Engine Land on a Star Trek cruise. They took this picture and posted it on Twitter as they got their drinks when they first boarded the cruise. Star Trek is a big deal for search geeks and Googlers, Google had a Doodle for it, Rick Klau hung out with Spock, and they have cut outs in the office. Googler's have gone on vacations with reporters before. Gary Illyes of Google went with Danny Sullivan, while he lead Search Engine Land, to Disney Land. For some reason, in this case, I suspect these cruises were booked before Danny went to Google. They did also go last year - when they both worked at Search Engine Land. To be clear, Danny and Michelle are there independently. Michelle, I believe, went with her husband.